Albitopia has been published by NornenMeister on January 31st, 2006. Albitopia is a crazy world in a remote solar system. 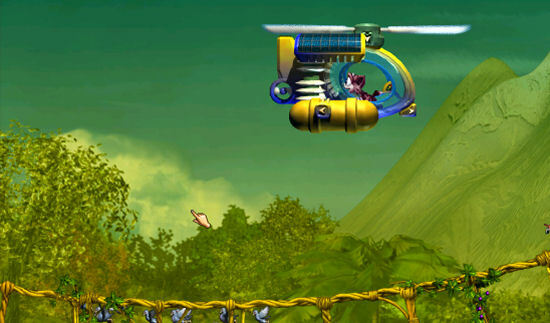 Experience an adventure with Perry RodNorn in Albitopia. Albitopia is based on Albia and is kept in green-yellow colors. It is a rather crazy world with many unusual things. Such as UFOs, dinosaurs, small and large Critters and animals und much more. The climatic conditions also act up extremely. The world is predominantly cool. However, there are areas with temperatures above 30 degrees Celsius. Brightness and air pressure fluctuate considerably, too. Organic and not organic nutrients are, however, available in abundance. Albitopia also runs under The Albian Years and can be found at Mummy's Creatures. This page was last modified on 17 August 2017, at 13:03.